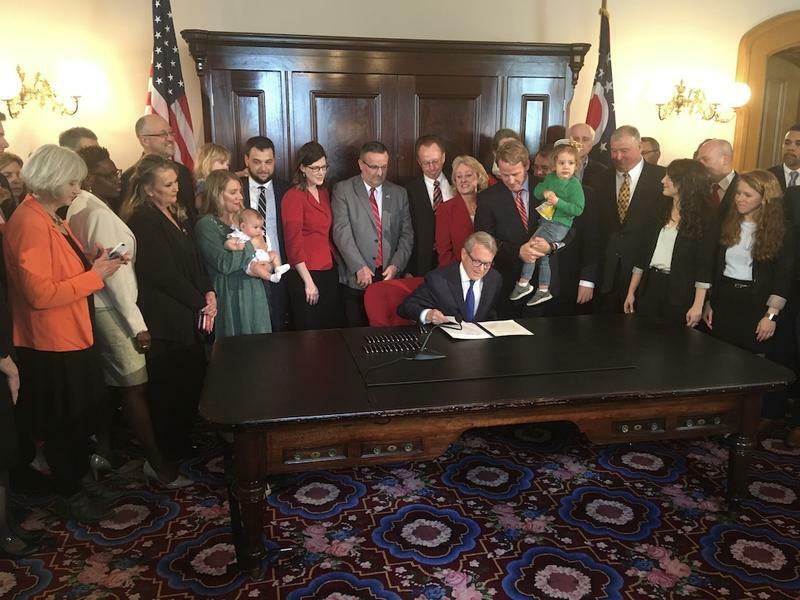 About 24 hours after the Ohio Legislature passed the abortion ban, DeWine signed it. Former Gov. John Kasich, also a Republican, vetoed the measure twice, most recently last year. He had said it was clearly unconstitutional. Ohio ACLU Legal Director, Freda Levenson, says her organization will file a lawsuit against the ban soon. DeWine says he knows this law will likely face a court challenge. “The purpose of this bill is really to have a vehicle for the United States Supreme Court so that if it should be ready to do so, it can revisit some of its prior rulings," DeWine said. Ohio’s legislation is not alone. A handful of other states have passed similar bills. None are in effect. Courts have stopped those and might do the same for this one. 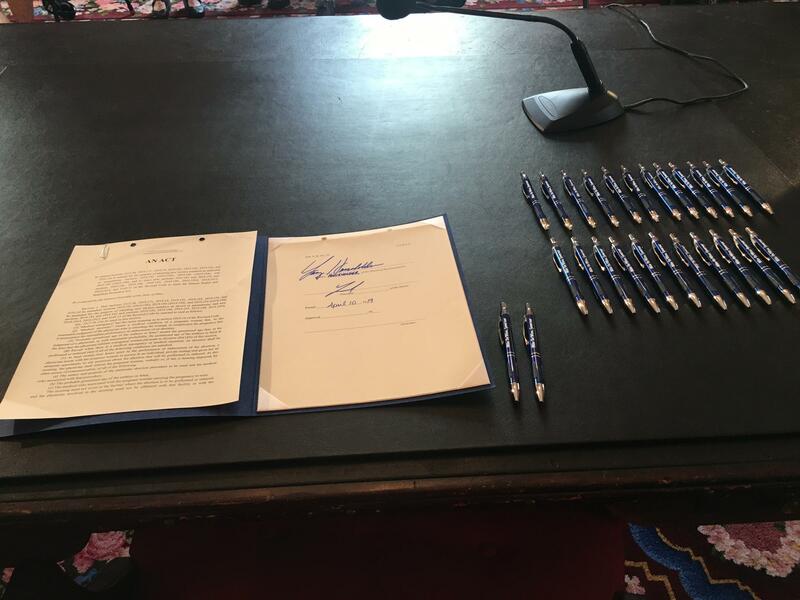 But regardless of what happens with Ohio’s bill, which in recent days has been renamed the “Human Rights Protection Act,” the sting in the legislature is palpable. Many Democrats were adamantly opposed to the bill and spoke out against it repeatedly in news conferences, campaign events and on the floor when it was being considered. And these experiences were a catalyst for the creation of the new Ohio Black Maternal Health Caucus. Representative Janine Boyd (D- Cleveland) explains its goal. “We are going to try to legislate and create an atmosphere in which people can trust women, especially black women, to take care of their bodies because right now, women are not trusted," Boyd said. Republican House Speaker Larry Householder (R-Glenford), who received support from Democrats to win that position, doesn’t think the fight over the restrictive abortion ban has permanently soured his up-to-now favorable relationship with his Democratic members. “You know we have talked about this and we know there are some issues where we don’t see eye to eye. And we’ve talked a lot about the 95% of the time that we are going to agree, maybe not on the direction, maybe not what we want to do as a state but 95% of the time, we are going to be out there working on things that….you know jobs packages, education issues….things like that….and the 5% that are issues that are volatile issues that Republicans and Democrats traditionally don’t agree upon, we can’t dwell on those issues," Householder said. Senate President Larry Obhof (R-Ashtabula) said lawmakers will likely be dealing with another abortion issue in the near future. “I do anticipate there being another “Born Alive Infant Protection Act” as you saw a few weeks ago when we passed a resolution encouraging Congress to vote on the federal proposal, we actually passed unanimously in this chamber and I anticipate legislation on that subject to be introduced sometime within the next few weeks," Obhof said.